Tag Management – Why You Should Care | ASTRALCOM - Content Strategy, Conversion Marketing and Customer Acquisition. 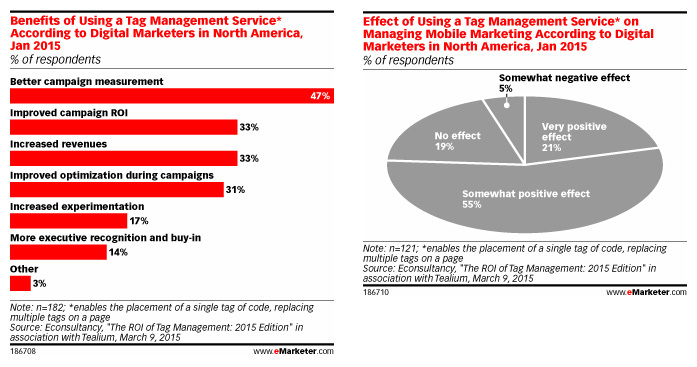 Tag management “enables the placement of a single tag of code, replacing multiple tags on a page.” Why is this important? Because it means that marketers can spend more time optimizing campaigns and achieving results instead of wasting time on hand-entering and managing multiple types of tags. Since saving time also generally equates to saving money, who doesn’t like that? Create end-to-end measurement pathways. How? Click or call us at 800.536.6637 and let’s talk about it. How Worried Should Marketers Be About Ad Blocking?